Whitney was amazed she finally had a boyfriend, and was prepared for a new life with him in the siren night human world. And the fact he was a lead singer in a rock band in his free time wasn’t bad, either. Too bad having a boyfriend didn’t mean she was going to see him, as his father’s punishment included separating them. Whitney is certain she can handle it, but sure enough, that isn’t the only wrench thrown into her new life. There’s a new threat in town, a scarier one than the backstabbing siren clan she’s part of now. They are night human hunters, and Whitney is an outlawed night human breed. Could her luck get any better? Quiet and peaceful would be ideal, but that’s not what she’s about to get. Take my friends, and I’ll take yours. Sam’s worth at least four greens. Thanks for the new servants. Whitney wadded the note up in her hand and began to push up to go over and tell Amber what she thought, but Tina caught her eye and shook her head, which was enough to make Whitney pause. While she wanted to go over and give Amber a piece of her mind, she trusted her friend. Something in her eyes said to listen to her. Instead of going over to the table, Whitney let Amber think she had won and sat back down alone. It wasn’t like Whitney wasn’t used to being alone in a lunchroom. She had transferred schools once before coming to their school. She would be fine. Once she got to the bottom of things, she would get her friends back. Sitting back down, Whitney checked over her math homework. It was the only distraction she had with her, and she needed a distraction to keep from blowing up at Amber. It was ridiculous. Whitney wasn’t keeping Sam from Amber. Sam wanted nothing to do with her, or the sirens in general. That wasn’t Whitney’s fault. And actually, Whitney didn’t blame him on the Amber front. Whitney’s mother had told her more than once when she was a child that if you didn’t have something nice to say, you don’t say anything at all. That definitely pertained to Amber. Whitney had nothing she could say about the girl. “Um …” A shadow fell over Whitney’s paper as someone stood beside the table, blocking the light. Whitney glanced up to find a girl standing there, staring down at her paper, but not her. She had never seen the girl before, and she was sure she would have remembered her. She had long black hair that was tipped pink around the edges, some tattoos, and too many piercings to count. Even with her school uniform on, the girl stood out. How could you not with a Celtic cross taking up most of your forearm? That wasn’t something you saw often in a school with teenagers. Whitney’s mother would have killed her if she got a small tattoo that could be concealed. This girl’s wasn’t hidden at all. “Can I sit here?” the girl asked quietly, pointing to the empty table. 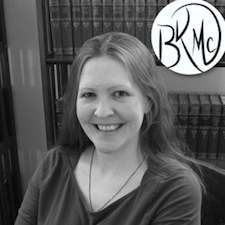 B. Kristin McMichael graduated with her PhD in biology at Ohio State where she worked as a scientist before taking her passion of writing full-time. Besides writing, she enjoys chasing her kids, playing outside, and baking cookies. She lives in Ohio with her husband and three children. 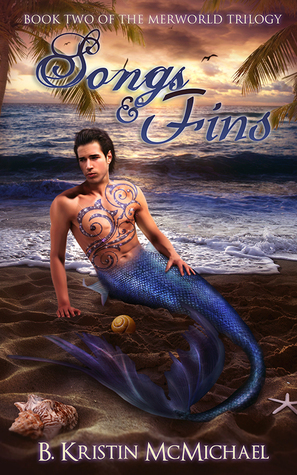 B. Kristin is the author of YA and clean NA paranormal fiction. Her "Night Human World" includes the YA series "The Blue Eyes Trilogy" about a midwestern girl who comes of age in a world of battling vampire clans, the "The Day Human Trilogy" that takes place among the Appalachian Sidhe fairies, and "The Skinwalkers Witchling" trilogy that follows an apprentice witch in the Pacific Northwest. She's also the author of the NA paranormal time travel romance series "The Chalcedony Chronicles".